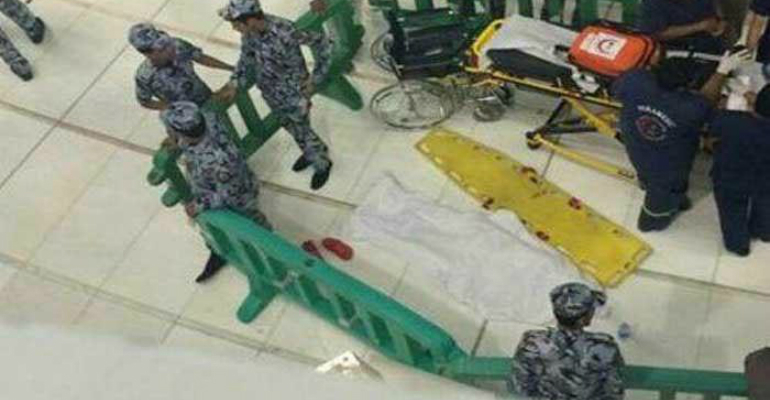 There have been reports of a man committing suicide by jumping off one of the upper floors in Masjid Al-Haram, Makkah. (1) This incident was shared over various social media accounts and broadcast via WhatsApp. What is the ruling on suicide? The above Ahaadeeth prove that committing suicide is a severe action for which there is a severe punishment set out by Allah. What is the difference between an action being a Major Sin and Major Kufr? The difference between them both is that Major Kufr is disbelief, it invalidates a person’s Islam and takes such a person out of the fold of Islam. If he dies upon Major Kufr without repenting, he dies as a Kaafir (non-Muslim) and will not enter Paradise. On the other hand, a Major sin is a severe action for which there is a severe punishment, but the person remains a Muslim. Even if such a person did not repent from his sins, perhaps Allah will forgive him out of his mercy, or punish him. As long as he dies upon Tawheed, he will enter Paradise. Is suicide a Major Sin or Major Kufr? The above Ahaadeeth prove that suicide is Haraam (forbidden), however the scholars have agreed it is a Major sin and not Kufr. This is because suicide does not contain anything which contradicts Imaan and Tawheed. Why does the Hadeeth say he is in the Fire? There are many Ahaadeeth which mention the punishment of the Fire for those who commit Major Sins such as murder, dealing with interest (Usury), adultery, alcoholism, gambling etc… This is similar to the Ahaadeeth mentioned above regarding suicide. Although these Ahaadeeth mention the Fire, they do not necessitate that these sinners will remain in the Fire for eternity. As a general principle, every Muslim who dies upon Tawheed will eventually enter Paradise, but before that whether he is punished or not is with Allah. Also, these Ahaadeeth are general, and we are not allowed to specify them to any individual Muslim. They remain upon their generality. Can we say this person who committed suicide is in the Fire? Despite suicide being a major sin for which there is a threat of the Fire, this does not necessitate that this person has left the fold of Islam and dies upon Kufr. The Aqeedah of Ahl As-Sunnah is that we never declare any particular Muslim to be a non-Muslim on account of Major Sins. This was the belief of the Khawaarij. They believed: whoever commits a major sin, has left the fold of Islam and therefore enters the Fire eternally. However we affirm the punishment and reward generally, but we can never say with certainty that so and so Muslim will definitely enter the Fire. This is according to whatever Allah wills, he may pardon such a person or He may punish him, and Allah never wrongs a person. The only condition is that the person died as a Muslim upon Tawheed. Should the Janaazah be prayed over a person who commits suicide? As we have established above, a person who commits suicide dies as a Muslim and Janaazah Prayer is performed for every Muslim. However, to show the seriousness of this sin it is better for the people of knowledge and status to not offer the Janaazah Prayer whilst at the same time encouraging the rest of the Muslims to do so. So the Muslims in general should pray Janaazah over every Muslim even if he committed suicide, but the people of knowledge and status in that area should not do so, only to show the rest of the Muslims how repulsive a sin this is. How should we react when a Muslim commits suicide? We should react with sympathy and pity towards the one who committed suicide; he only did such an action out of desperation that perhaps we cannot understand. Consider that he may have had a mental condition we do not know of, or was affected by Satanic whispers, Jinn or black magic. We should offer comfort and advice to family members. Whilst believing the action to be Haraam, we should not condemn the person to the Fire. Rather we should give the family members hope in the mercy and forgiveness of Allah. We should seek forgiveness for the person who committed suicide, make Du’aa for him and pray his Janaazah. Ultimately, we should take a lesson from his desperation in increasing our own Imaan, understanding the Decree of Allah, appreciating the wisdom of Allah in everything and seeking knowledge about Aqeedah. As a community – and specifically as a Masjid – we should learn lessons from this unfortunate incident, so that in the future we are able to see the signs before such events occur and also deal with the aftermath effectively. O Allah, forgive us, our parents, teachers and the Muslims. May peace and salutations be upon our beloved Prophet, his family, companions and all those who follow his way until the Day of Resurrection. (1) The incident was unfortunately recorded by a number of people and spread through Youtube. (3) Narrated by Abu Hurayrah; Collected by Al-Bukhaaree & Muslim. Note: The Arabic word used in the Hadeeth is خالدين which literally means ‘forever,’ but it can also mean ‘a very long time’. The Salaf would pass by such Aayaat and Ahaadeeth without delving into them for the fear of lessening the severity of the word. Is it permitted to lie against an innovator?